Welcome back to the Week 22 edition of fantasy baseball 3×3, where we’re running with Rajai Davis, sticking with Gerrit Cole, and leaving David Freese out in the cold. 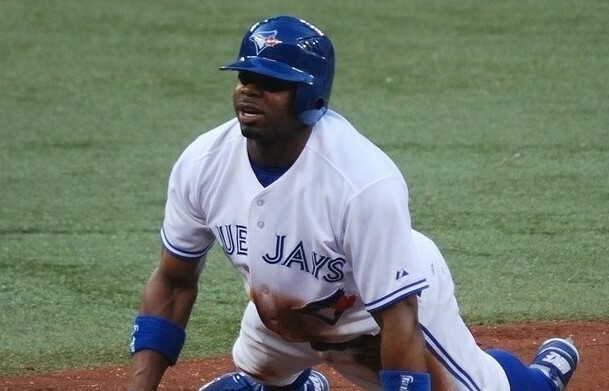 Rajai Davis has 40 steals this season… in 278 plate appearances!!! Davis has the second-most steals in baseball, but doesn’t have even enough plate appearances to earn a spot on FanGraphs’ leaderboard. Obviously, no other player comes close to Davis’ SB/PA production. Fantasy owners in shallower leagues tend to turn away hitters who don’t have everyday jobs locked down, but if you’re battling for an extra point in steals, Davis is an absolute must-own, regardless of format. 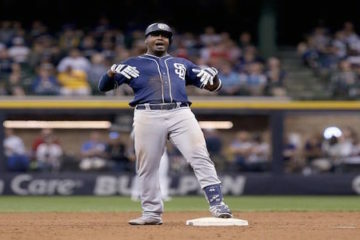 He has attempted seven steals in his last ten games, sliding in safely six times. He’s started each of the last seven games for Toronto and batted first or second in the order each time. That slot in the order isn’t a guarantee of run-scoring in a now Bautista-less offense, but it will at least produce a couple of extra chances to get on base and swipe a bag. With the Blue Jays’ entire starting outfield on the DL, you can expect Davis to maintain his spot atop the order for at least the next couple of weeks. Ike Davis spent some time in Las Vegas and has returned to his job focused, renewed, and refreshed. Those results are in stark conflict with my personal experience, but hey, different strokes, right? Since his return to New York, Davis has displayed an incredible batting eye; no player can best his 25.7% walk rate over the last month. Davis has cancelled his nightly fishing trips, laying off pitches down in the zone, pitches that he chased (quite unsuccessfully) earlier in the season. Check out the zone profiles for Davis’ first and second stints in the majors this season. 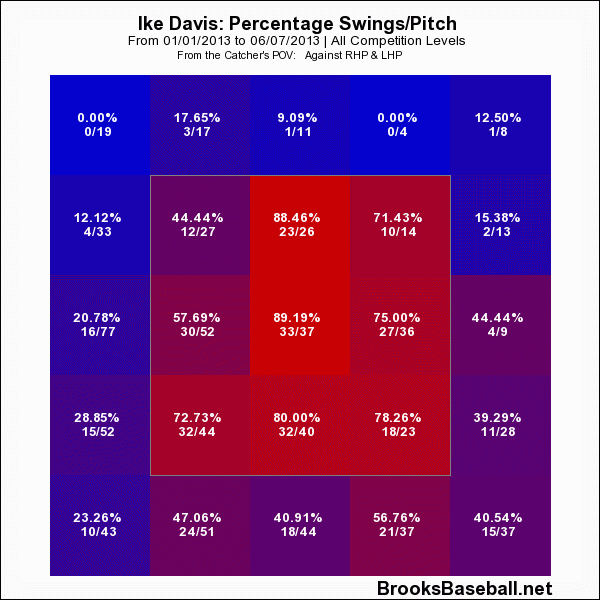 By waiting for pitches he knows he can handle, Davis has greatly improved his results against the offspeed pitches and breaking balls that befuddled him earlier in the year. He’s always been able to hit a fastball, but his slugging percentages against offspeed and breaking stuff have more than tripled since his call up, settling in at .436 and .368, respectively. The home runs haven’t come along with Davis’ elite plate discipline, but I’d be surprised if they didn’t show up soon. For fantasy purposes, Mark Buehrle was the least-acclaimed of this winter’s Miami-to-Toronto travellers. 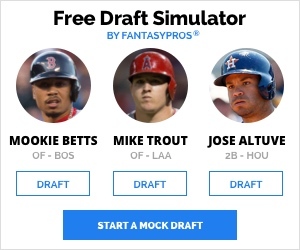 He’s always been overlooked due to his lack of strikeout stuff, but his recent hot streak, as well as overall positive trends in his pitch mix, should make fantasy owners take notice. Buehrle has won five of his last seven starts, allowing more than three runs just once in that span. More importantly, he’s thrown significantly more cutters and sinkers this season while cutting back on his changeup usage and essentially scrapping his curveball. His changeup has become an elite swing-and-miss pitch; hitters are pounding everything else into the infield dirt . It’s an approach that will pay dividends against poor offenses, and wouldn’t ya know it, Buehrle has quite a few of those coming up on his docket. Extrapolating pitcher schedules is an inexact science, but if Buehrle continues to pitch every fifth game for the Blue Jays, four of his six remaining starts will come against offenses that rank in the bottom five in the American League in wOBA. He’s not a player worth picking up if you’re battling for points in strikeouts, but if your place in Ks is secure, he could be a terrific source of W, ERA, and WHIP down the stretch. I’ve never been much of a believer in David Freese and recently, it seems owners in ESPN fantasy leagues are beginning to agree with me. Freese is one of the most dropped players in ESPN leagues, dropping to 62% ownership after beginning the season as the 11th third baseman drafted (picked just after Chase Headley and right before Mike Moustakas… WOOF). He flashed spectacular home run power last season, denting the bleachers on an even 20% of his fly balls, a rate that ranked 16th in the league. In 2012 season, Freese was a more efficient home run producer than Andrew McCutchen, Edwin Encarnacion, and Prince Fielder, but all of those players hit at least ten more bombs than Freese because while Freese is efficient, he just doesn’t hit enough fly balls to produce homers en masse. In fact, his fly ball rate has been on the decline since he entered in the league (with the exception of a slight uptick in 2012), dropping to 22.5% this season. Only Everth Cabrera, Howie Kendrick, Elvis Andrus, and Norichika Aoki have hit fly balls less frequently; no hitter with a FB% less than 27% has hit more than 15 homers this season. Freese had a great year last season, but his batted ball profile is just not conducive to fantasy-relevant power hitting. His GB/LD tendencies can produce a strong batting average and his place in the Cardinals’ lineup will produce solid R and RBI totals, but without even average production in HR or SB, he’s not a player who needs to be owned in 10-team leagues. It’s been a rough few weeks for Travis Wood. 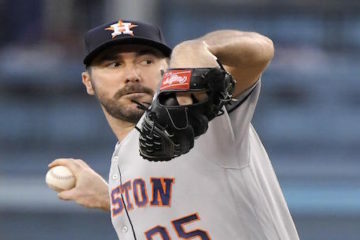 He’s been tagged for four runs or more in four of his last seven starts, including a disastrous outing against the Dodgers in which Wood surrendered five runs and 12 baserunners in just 3.1 innings. Yet somehow, fantasy owners in 64% of Yahoo! leagues have decided it’s still a good idea of anchor (or, more appropriately, sink) their pitching staffs with him. Wood’s full-season BABIP still sits at an outrageously fortunate .238. At this point, Wood does deserve some credit for inducing weak contact, but the days of sub-.200 BABIPs are not coming back. His BABIP has been quite a bit closer to average over the last couple of months, settling at .278 in July and checking in at .261 through 29.2 innings in August. With strikeout and walk rates that are both worse than league average, Wood will remain at the mercy of his BABIP, which certainly won’t get any better against improved competition. Every single one of the Cubs final 23 games will come against teams that rank in the top eight in the National League in wOBA; 14 of the final 20 games are at home. The purportedly friendly confines have been quite the opposite for Wood, he’s posted a 4.03 FIP in 102.2 innings at home, an unsurprisingly tally given the fact that Wrigley Field has played as the third-best hitter’s park in baseball this season. Norichika Aoki is in a slump. A BABIP-driven slump, but a slump nonetheless. He’ll probably break out of it soon, but the chance that he might not is enough to make him droppable. Outside of his normally strong batting average, Aoki doesn’t have many redeeming qualities. He’s doesn’t walk much; his OBP is almost completely dependent on his BABIP. He hits high in the order, but does so for a solid, not great offense. He doesn’t have much power and although he’s managed to accumulate more than a few stolen bases, I wouldn’t really call him a “base stealer”. Aoki has been successful on just 60% of his 28 attempts, no player with at least 15 steals has a worse success rate. So, we’re back where we started; Aoki is only as valuable as his batting average and therefore, only as valuable as his BABIP. With just more than a month to go, the potential for positive impact of even an excellent batting average is limited, and that BABIP can rise or fall 20 points based on a couple of misplaced dribblers. At this point in the season, you’re better off trading Aoki in for a more reliable producer. After fizzling amid the fanfare of his June debut, Gerrit Cole has quietly spent the last two months evolving into what we all thought Gerrit Cole was going to be. Through 22.1 August innings, Cole has generated an even 50% groundball rate, whiffed nearly 22% of the batters he’s faced, and managed four strikeouts for every walk. His 2.92 xFIP over the last month ranks 14th among qualified starters. Cole has already surpassed his innings total from last season and the Pirates won’t confirm whether or not Cole has an innings cap, but Pittsburgh GM Neal Huntington is “confident that Gerrit is going to be able to sustain a workload throughout.” Good enough for me. Jason Castro has been exceptionally lucky this season, but he’s also been exceptionally good. His .349 BABIP is bested only by Joe Mauer and Yadier Molina among catchers, but it’s not all good fortune, it’s backed by a 26% line drive rate that ranks tenth in all of baseball and trails only Mauer among qualified backstops. Castro’s 17 homers and .212 ISO both obliterate his previous career highs at any level, but a 20-foot jump in his average fly ball distance backs up his increased power. He’s had quite a few homers rated as “Just Enough” by ESPN’s Home Run Tracker, but two-thirds of those wall scrapers have come in Castro’s home stadium, which ranks among the best hitter’s parks in the league. It’s not his fault his team plays in a band box, er, juice box. He’s been spectacular, and he’s not slowing down. In the last 30 days, Castro has boosted his walk rate to 17.3%, slashing .350/.459/.638 and smacking five home runs. There’s a conversation to be had in the offseason about how real this all was, but for now, there’s no reason to jump off the Castro train. A.J. Griffin is a pretty good pitcher with one horrible, terrible, no good, very bad weakness. His 1.65 HR/9 ranks second-worst in baseball, only Joe Blanton has allowed more dingers per nine innings pitched. His home run rate is like a blinding ultraviolet light in the face of cogent fantasy analysis; aside from his predilection for gopher balls, Griffin is a solid fantasy producer. He’s backed by a good offense and strikes out nearly three times as many hitter as he walks. His control has been horrid in his last few starts, but prior to walking six, five, and four batters in his last three starts, Griffin hadn’t issued more than two free passes in a start since May 19. I don’t see any abnormal inconsistency in his release point, so I’m chalking this up as nothing more than an unfortunate blip on the radar. As long as he keeps the home runs under control, he’s fine. Griffin has had ten of his starts this season in which he did not allow a home run. In those starts, he blanked the opposition four times and allowed more than three runs only once. Predictably, Griffin is a better pitcher at home than on the road. Not only is his HR/FB rate lower, his strikeout rate jumps significantly as well. And you’re right. Of course Griffin can’t pitch all of his games at home. 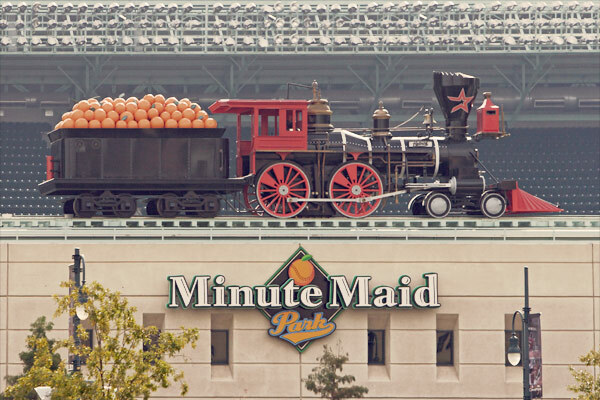 But once the A’s leave Detroit on Thursday, Oakland’s remaining schedule offers the next best thing. The A’s play 26 of their final 29 games in Oakland, Minnesota, Anaheim, and Seattle. Those four cities rank as the four hardest American League ballparks in which to hit a home run. Bench Griffin this week, but hang on for the stretch run. Agree, disagree, need advice? Hit me in the comments or on Twitter @gerardowrites. 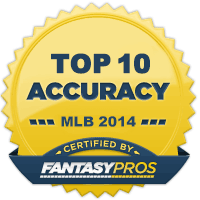 Thanks as always to FanGraphs, Brooks Baseball, Texas Leaguers, and Baseball Heat Maps for the data. You’d seriously drop Khris Davis as hot as he has been?I’ve asked around on a few sites and you’re the first to advicate letting him go.I was particularly interested in whether I sould keep him over Eaton. If I needed speed, I’d absolutely drop Khris Davis for Rajai Davis. That’s not to say K. Davis isn’t a good player, just that he won’t provide elite-level production in any one category, whereas Rajai Davis could easily steal 15+ bases in the next month. 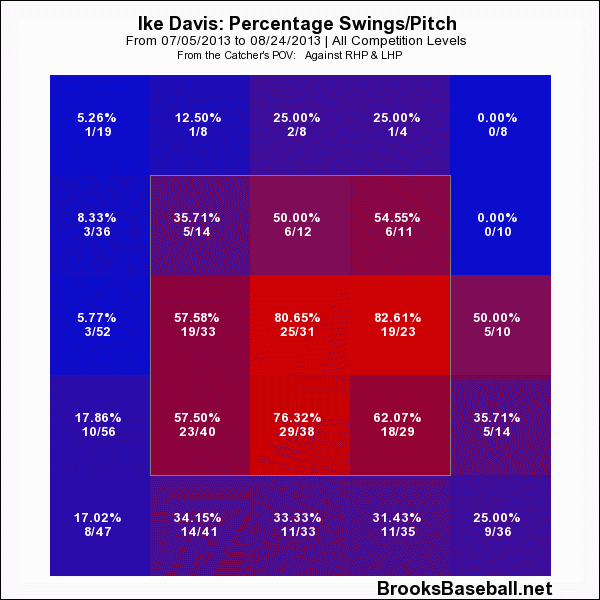 That said, I’d hang on to Khris Davis vs. Eaton, assuming it’s just this season. Eaton just isn’t running; without the speed, Davis is a much better short-term option.